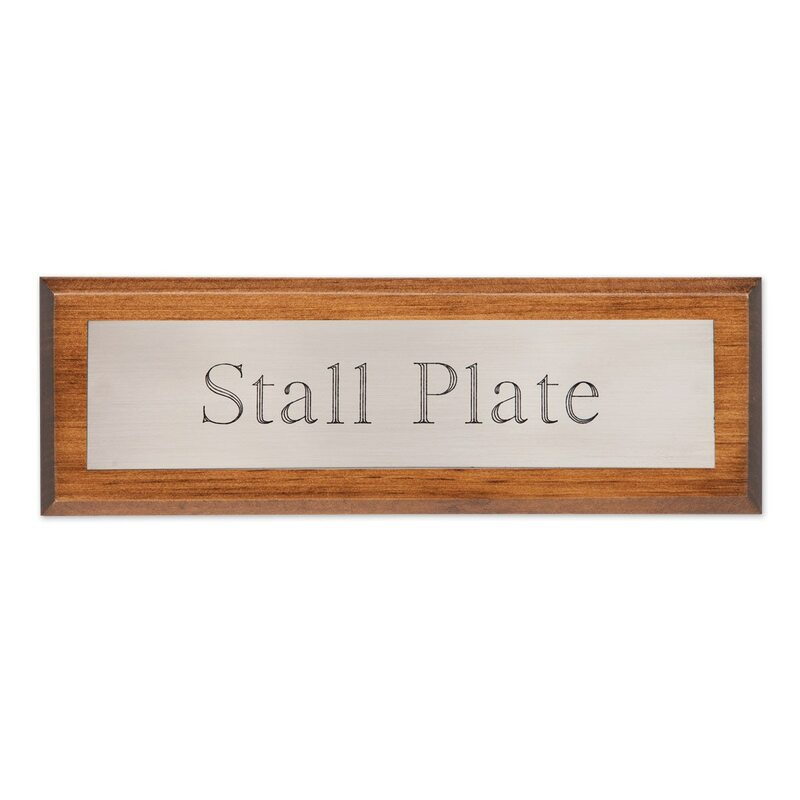 Adorn your horse's stall with this classic nameplate. Custom engraved with your choice of text- clearly showcase your horse's name, you as an owner, your barn name, or anything else you'd like to highlight. 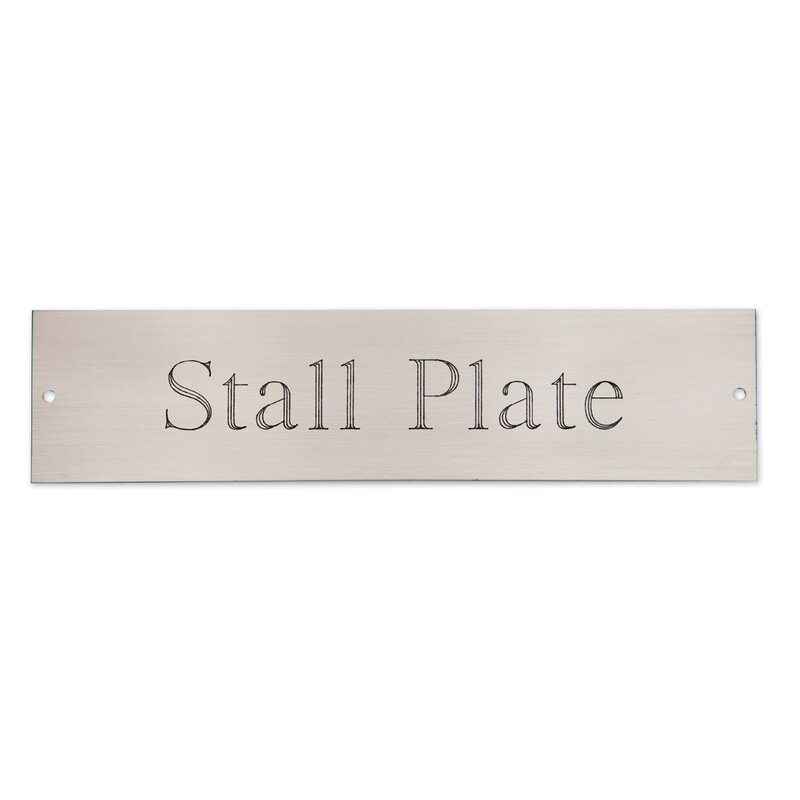 Stall Plate measures 2" x 8". 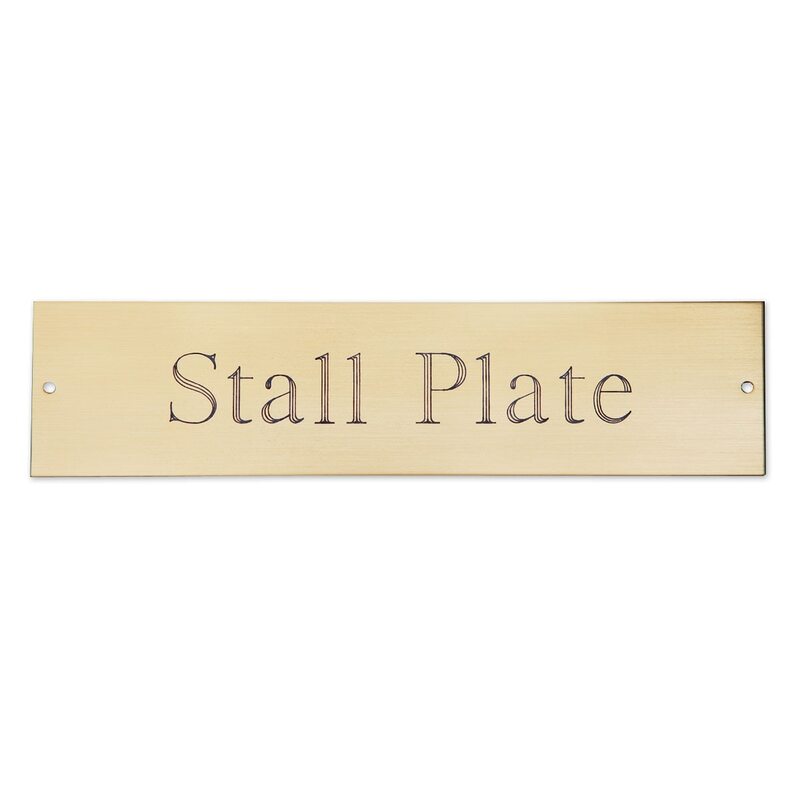 Stall Nameplate is rated 4.4 out of 5 by 269. Rated 5 out of 5 by Elise2525 from Beautiful stall name plate I just bought this amazing name plate plaque for my perfect mare! Came out beautiful! Rated 1 out of 5 by Halmstad from Nickel isn’t nearly as nice as brass I hate them. A lot. I had brass plates made a year back and loved those. The nickel is just terrible. It’s not a true “silver” as it has a brass tone to it. It’s also extremely thin and gives the impression of low quality. I wouldn’t be surprised if you could snap them in half. The brass was much better but has been out of stock when I try to order. Quite disappointed. If you can hold off, or get it from somewhere else I would recommend the brass. Steer clear of the nickel. Rated 2 out of 5 by apajax6 from Beautiful, but rusted quickly When I received my nameplate I was so excited. The engraving is perfect and I love the wood. However, after getting it in March, it didn't make it through the summer in New York without rusting all around the engraving. Pretty disappointed. 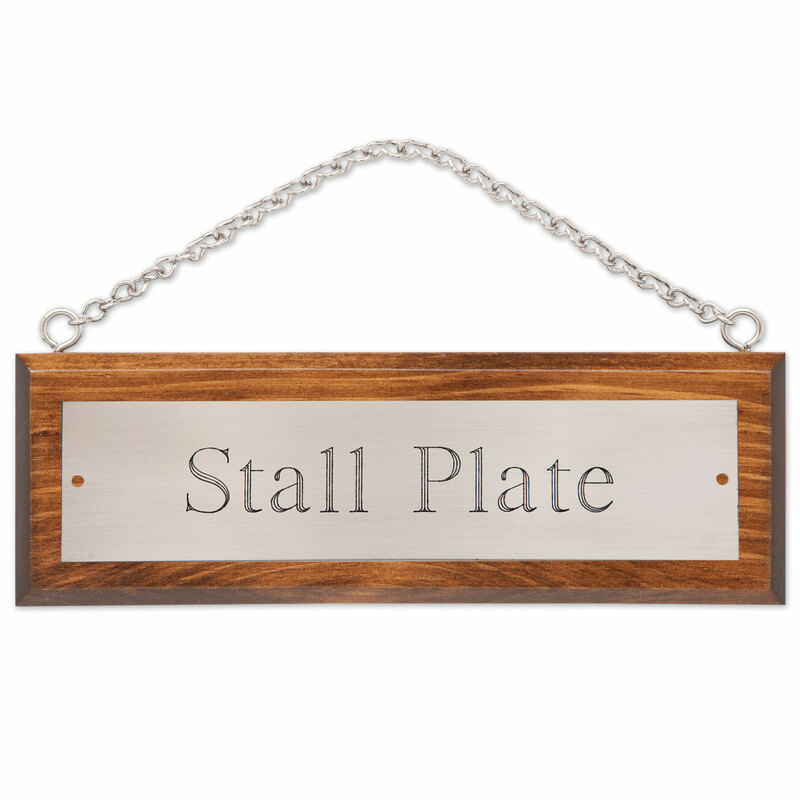 Rated 5 out of 5 by Lisa from Affordable and Elegant The stall plaques are a classy, easy way to identify each horse's stall at shows. We love them! Rated 5 out of 5 by Ashley from Love it! As with anything horse related, smartpak once again provided with me with a beautiful name plate for my new horse. Never a disappointment with this company! Rated 5 out of 5 by Jumping High from I just bought my stall name plate and it came out beautiful!!!! Nice and readable! Rated 5 out of 5 by Lspring from Amazing I love these name plates! A nice thickness and the engravery looks beautiful I'd definitely recommend. Rated 5 out of 5 by Mom of Rocky from Classy! Needed two nameplates for new horses in our barn. These are classy, love the font and they arrived in less than a week. Rated 5 out of 5 by Rose from wonderful! I bought the wooden mounted brass nameplate. Several people have commented on how nice it is!